Uncover the tuner underground in a massive, free-roaming metropolis. Get behind the wheel in one of 30 of the hottest cars and own the streets from dusk 'til dawn. Explore the city, encountering underground races, hidden hideouts, secret shops, and unexpected challengers With comprehensive performance tuning options, all-new game modes, and the most sought-after cars on the circuit, Need for Speed Underground 2 delivers the most authentic tuner experience ever. This is the official demo of the driving game Need for Speed Underground 2. This demo includes a sneak peek of the variety of different game modes you can play, as well as a few online options. This demo includes a sneak peek of the variety of different game modes you can play, as well as a few online options. 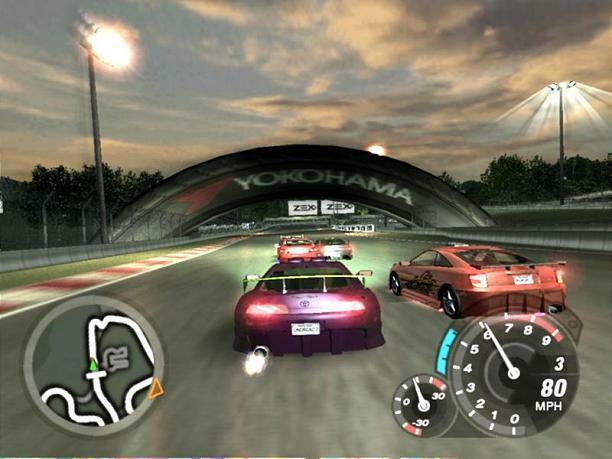 Explore the city, encountering underground races, hidden hideouts, secret shops, and unexpected challengers With comprehensive performance tuning options, all-new game modes, and the most sought-after cars on the circuit, Need for Speed Underground 2 delivers the most authentic tuner experience ever.